Effortlessness starts with MarlaWynne. This tunic is the perfect transitional layering piece for all weather. Top it over leggings in fall and add a jacket in winter, there's so many ways to dress it up or down, you'll want every color to make sure you never run out of stock. I ordered my normal 2x size. I was surprised that it was enormous in width.I have returned it. 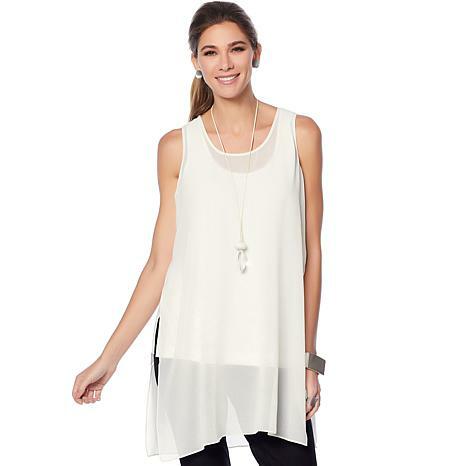 Other than the oversizing, the tunic's fabric was not as sheer as it appeared to be on television. No lining, no sleeves, runs large, way overpriced!